This section contains several sub-sections with various resources related to electrical engineering: Video trainings (general, PLC programming trainings and electrical maintenance videos). 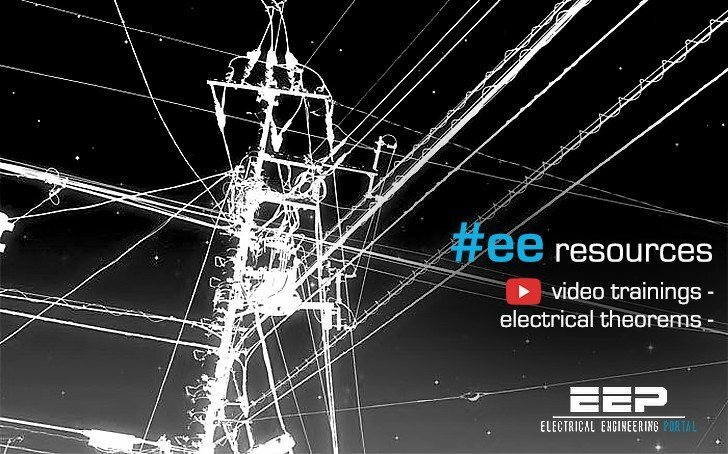 EEP has been dedicated to providing you with the highest quality of information and engineering resources on all aspects of electrical science. Theorems and Laws (Ohm’s and Kirchhoff’s law, Thévenin’s and Norton’s theorem etc. ), formulas, ANSI standards and much more, including Power Directory – can be found here! 4 Knowledge (theorems, formulas, ANSI standards…) . 5 Researches and Projects (RaP) . I want to register with this website and need all updates in my mail box. Great site! Lots of relevant information. Keep up the good work. Does anyone have a spread sheet to estimate cooling/heating required for industrial enclosures? I know there are many factors, I’m looking for the basics. please send me KVAR equations.How to calculate tan.